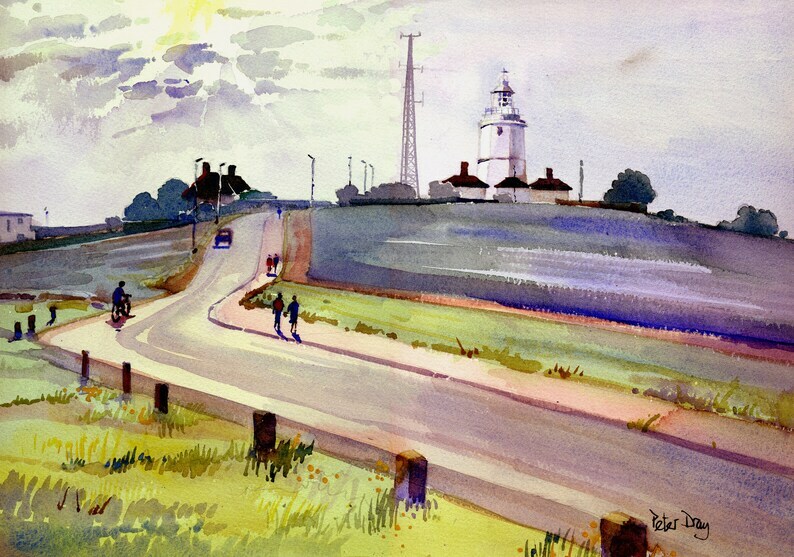 This view of the North Foreland lighthouse on the East Kent coast at Broadstairs is wonderful and I paint it in just about any weather. On this occasion it was the Autumn misty sky that attracted me. This watercolour was painted on site using quality non fade pigments on heavyweight rag paper. Summers End, Botany Bay, Broadstairs, Kent, Cliffs Beach and Chalk Stacks. Broadstairs, Evening on the Jetty. Kent Seafront and sandy beach. Old Lifeboat House. Bleak House.